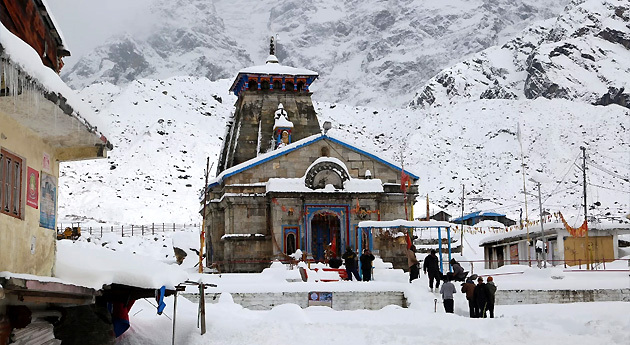 Opt for our well-planned same -day Ek Dham Kedarnath / Badrinath Yatra by helicopter, offering you a chance to pay your homage to the revered holy shrine of Kedarnath and Badrinath via helicopter. While Kedarnath temple is dedicated to Lord Shiva and is one his 12 Jyotirlingas, Badrinath temple is dedicated to Lord Badri or Vishnu. By opting for this yatra, the devotees save a lot of time. This itinerary is quite helpful to those who are in old age or have any kind of physical disability. Ek Dham Yatra begins and concludes in Dehradun and is completed in a span of a day. Darshan at Kedarnath / Badrinath. Early morning, go aboard the helicopter from Dehradun to reach Kedarnath. 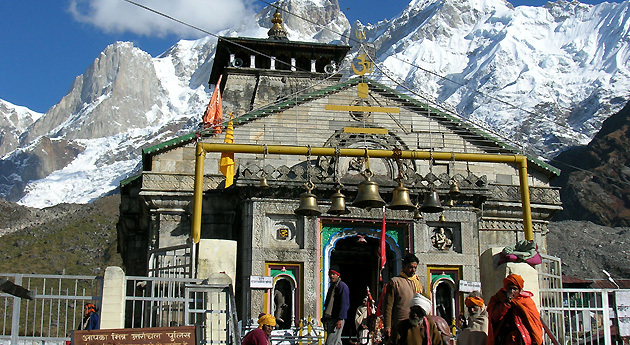 As you reach, have Darshan at the sacred Kedarnath temple. This temple is one of the 12 Jyotirlingas of Lord Shiva. The Kedarnath temple lies on the banks of River Mandakini and is believed to be built by Adi Shankaracharya during the 8th century. It is believed that the original temple was constructed by the Pandavas. In the front of the temple, there is a rock statue of Nandi bull also. Later, back to the helicopter that leaves for Dehradun from where you continue your onward journey. Early morning, go aboard the helicopter from Dehradun for Badrinath. As you reach, have Darshan at the sacred Badrinath temple. Placed on the banks of River Alaknanda, this temple is dedicated to Lord Badri and is one of the 108 Divya Desams dedicated to Vishnu. Later, back to the helicopter that leaves for Dehradun where you continue your onward journey.